NASCAR stock car racing sensation Ricky Bobby is a national hero because of his "win at all costs" approach. He and his loyal racing partner, childhood friend Cal Naughton Jr., are a fearless duo - "Shake" and "Bake" by their fans for their ability to finish so many races in the #1 and #2 positions, with Cal always in second place. 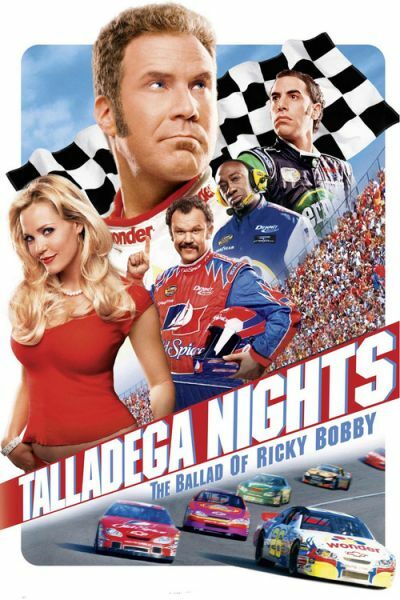 When flamboyant French Formula One driver Jean Girard challenges "Shake" and "Bake" for the supremacy of NASCAR, Ricky Bobby must face his own demons and fight Girard for the right to be known as racing's top driver.